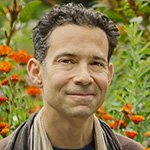 Oren Jay Sofer teaches workshops and retreats on meditation and communication nationally. A member of the Spirit Rock Teachers Council, he holds a degree in Comparative Religion from Columbia University, is a Somatic Experiencing for healing of trauma, and a certified trainer of Nonviolent Communication. Oren is also the author of Say What You Mean: A Mindful Approach to Nonviolent Communication. Oren is also author of Say What You Mean: A Mindful Approach to Nonviolent Communication, the founder of Next Step Dharma, an online course focused on living the path of awakening in our daily lives, and co-founder of MindfulHealthcare.us providing training in mindfulness, communication, and resilience to the healthcare community.